A classic puzzle style game. 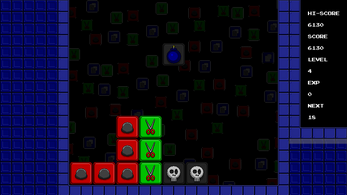 Each Block has it's own strength and weakness based on the childhood game. 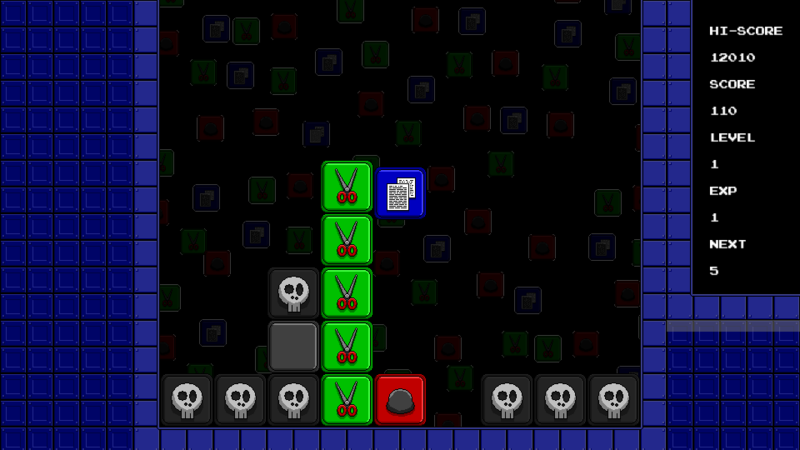 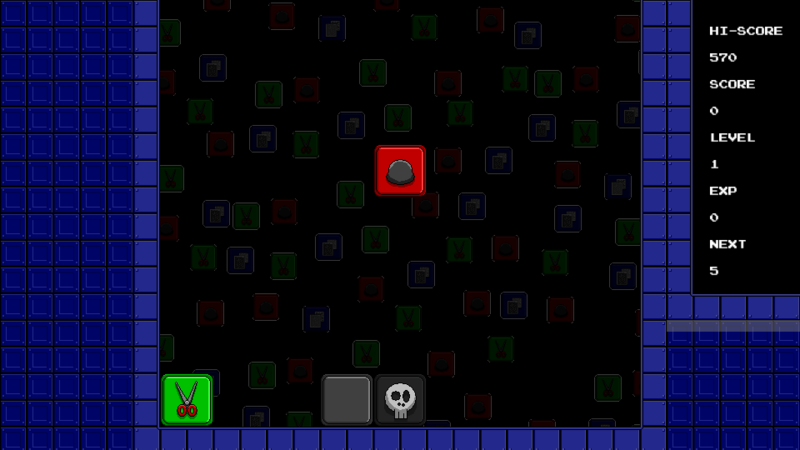 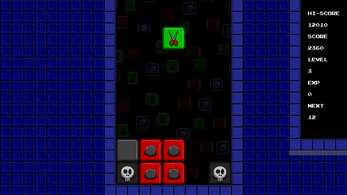 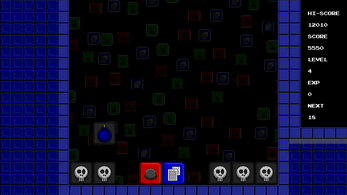 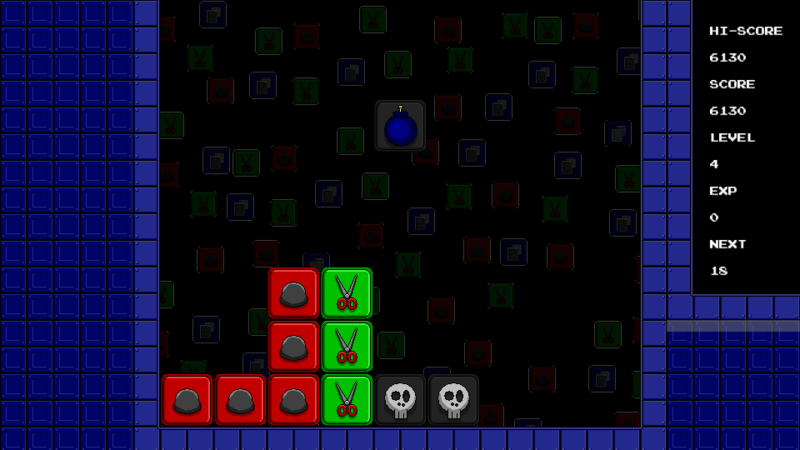 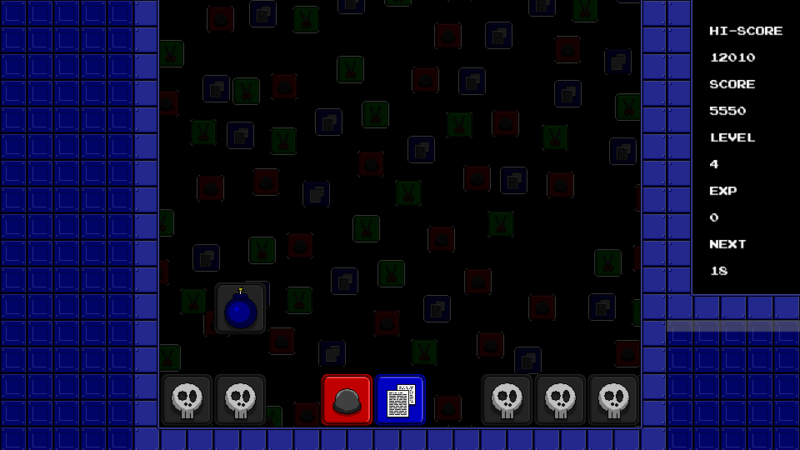 Other blocks include POW, BOMB, SKULL, RANDOM and BLANK each with their own unique abilities.